I don't think that with my limited writing skills that I could do justice to this game, as incident packed as it was. The first half especially which was only a pitch invasion by pandas on pogos away from having almost everything you could want from a football match. Great football, good goals, iffy decisions, penalty saves, angry substitutes, sunny weather, spots of rain and wasps. Therefore I’m not going to even begin to try and give a run down of everything that happened. Not only is life too short for such a thing, if I did an accurate account of proceedings it’s likely you’d still be reading this report an hour from now and wondering if the final full stop was ever going to come. Besides, the season’s nearly over and after close to fifty reports I’m feeling de-mob happy and just want to get the last few out of the way as quickly as possible. My unusually jovial mood is also helped by the fact that after what has been a poor last few weeks, Mossley ensured that they ended the league season on a high note by completing it in the manner in which had begun – by picking up three points in central Lancashire. The match couldn't have got off to a better start for the Lilywhites either with all three goals coming in the opening eight minutes. In fact it was barely sixty seconds old when the first arrived. Lee Blackshaw beat team mate Mattie Kay at the back post to Reece Kelly's deep cross and fired Mossley in front from close range. Goal number two arrived five minutes and a host of missed chances later when Danny Egan was given time and space by the home defence to bring Leon Henry's through ball under control and pick his spot; curling an inch perfect effort around Proctor in the United goal. The Stag's were a fingertip save by James Mann away from halving the deficit in the eighth minute but less than twenty seconds passed before the mountain they had to climb to rescue the game grew even bigger. Mossley broke quickly up field and though Egan hit the post with a shot from the edge of the box, Nathan Neequaye was on hand to tap home the rebound. Both Mossley and Rossendale had good claims for penalties for hand ball in the first half. This is ours and the only person not to see it unfortunately was the referee. Thankfully though he missed an equally obvious one at the other end of the pitch. To be truthful a six or seven goal lead by the midway point of the half wouldn't have flattered the visitors, such was their dominance of proceedings. Even so, on any other day the third goal would have effectively ended the game as a contest but with Rossendale needing a win to avoid relegation they began to throw men forward in an effort to salvage their season. And in throwing caution to the wind they began to cause the visitors some problems. None more so than when Phil Eastwood was sent crashing to the ground as he attempted to take the ball past the Mossley keeper. It wasn't so much a trip or a pull but what they term in American Football as a 'sacking' - one player taken clean out. To the surprise of many, not least the Rossendale players and supporters, only a yellow card was shown for the offence and not the expected red. The home contingent then had their noses rubbed in the perceived injustice by Mann not only saving the resulting spot kick from Ellis, but pulling off a string of good saves too that enabled his side to enter the break with their three goal lead intact. Rossendale appear to have a zero tolerance approach to missing penalties too as Ellis was hauled off at the first available opportunity; a decision he took in good grace by smashing one of the Perspex side panels to the dugout - something that’s far more difficult to do than scoring from twelve yards out. James Mann stops Ellis's spot-kick and the Dale management ready the subs boards. Despite there being no further additions to the score line, the second half was no less entertaining than the first. With scores elsewhere condemning Rossendale to life in the North West Counties League unless they could overturn Mossley's lead, and the visitors looking to exploit the gaps their opponents were now leaving in defence, chances came and went in a near frenzy of attacking, end to end football. Both sides did manage to find the net on at least one occasion but the ‘goals’ were chalked off for offside and, in Mossley’s case, a reason that shall remain unbeknownst to all but the referee. As the final whistle neared though and the spectre of impending demotion loomed large over them, the wind began to fall from United's sails and it was only some poor finishing that stopped Mossley from racking up the score line they'd threatened to reach in the opening moments of the match. So what did we learn from this match? Well, firstly, that after a few weeks of bad to indifferent Mossley turning out for matches, the good version is still around – the one we spent the first few weeks of the season being mightily impressed with. If it’s this incarnation of the Lilywhites that turns up at Boundary Park on Wednesday night, the Manchester Premier Cup final against Droylsden might not be the foregone conclusion many were expecting. 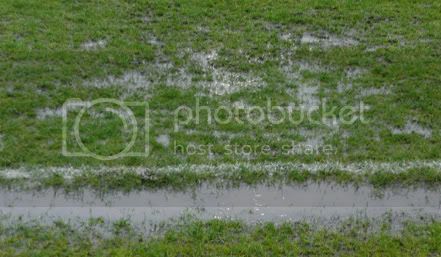 Fnally, we can end the league season safe in the knowledge that, despite all the criticism it gets, Seel Park isn’t the worst playing surface in this division. However, now Rossendale have been sent down to reacquaint themselves with the delights of the Atherton slopes and Abbey Hey by night, it’s likely to be a title we’re fighting Chorley tooth and claw with for next season. And that’s that for what has been quite an eventful Unibond First Division North 2008-09 campaign. Well done to Mossley for securing a top ten finish and commiserations to Rossendale for cementing a twenty first placed finish at the death. Like an unremovable scuff mark on a skirting board this match is one that's probably best glossed over. Mossley's initial visit to Durham in December was brought to a halt just before half-time when, with the Lilywhites a mere four goals ahead of their previously unbeaten hosts, the referee decided that the icy conditions he'd allowed the match to start in was a danger. With Mossley fielding a much changed team for this re-match the likelihood of a similar state of affairs existing just before the interval was always going to remote and so it proved. My non-attendance of this game means there's going to be no actual match report. If you crave one then I recommend you follow this link. What I can do is condense however is bring you a snapshot of what happened thanks to the accounts of some of those who did go. So, in brief: Despite it being level at one apiece with the break in the game approaching, Mossley were looking the better of the two sides on show. At least that was the case until Durham edged themselves ahead just before the half-time whistle, at which point things started to go down hill in a rapid and calamitous fashion. Two quickly became three, then four, five and six as the Mossley keeper apparently had a forty five minute spell of the whoopsies - a condition that causes euphoria in opposing and neutral fans and eye rolling amongst the followers of the infected victim. While leaving Mossley with another 6-1 defeat to their name this season, and their third loss by five goals, it also means that they go in to the last game of the season on a run of just one point from a possible fifteen; a situation that's going to delight Rossendale who need a win to be certain of avoiding relegation. On the cheery and positive side though Dark Lane has been a relatively good place for us to visit over the course of the last fourteen years - just one defeat in nine visits. Hopefully by this time tomorrow it will be one in ten. The final home game of the season should be something approaching a last hurrah - an opportunity to send the supporters into a football free summer with a happy memory to bide them over till it all begins again in August. It should but sadly you also get games like this where you hope upon hope that it doesn't put people off coming back again for good. Crowds are low enough as it is at this level of the game without providing potential supporters with a reason to find something else to do on match days in case they should ever witness another game quite as bad as this again. Actually it wasn't that bad if you were following the fortunes of the away side, but for those who turned up hoping to see the hosts put in nothing more than a decent performance, never mind claim all three points, it was the latest addition to the recent list of wasted afternoons. Prior to kick-off it had been six years since Mossley had last won their final home game of a season. And throughout the course of this ninety minutes against Wakefield it was a statistic that never looked like changing to anything other than seven. The corresponding fixture of the 2007/08 campaign - a goal less draw which, coincidentally, was also against Wakefield - was possibly one of the most boring games witnessed at the Lilywhites home ground for many a year. Twelve months on and this game looked like surpassing it in terms of tedium until a goal out of the blue put the visitors ahead in the 36th minute. Not for the first time in the match a Wakefield attack looked to have run into a dead end but a ferocious effort from Adam Jones, stood well over thirty yards from goal, proved unstoppable as it swerved through the air towards the back of the net. The crossbar and a subsequent goal line clearance prevented the Yorkshiremen from doubling their lead early in the second period but such was the scarcity of chances Mossley were creating that the one goal from Jones looked like being more than enough. That was until a goal just after the hour mark, as equally unexpected as Wakefield's opener, pulled the Lilywhites level. Michael Fish blocked an attempted clearance on the edge of the Wakefield penalty area and the ball looped into the path of the inrushing Mattie Kay, who hammered a low shot past Andy Woods on the half-volley. Over the following few minutes Mossley had their best spell of the game but other than a Danny Egan header that dropped onto the roof of the net, they couldn't turn the pressure into anything significant and the momentum quickly fizzled out. Just as many were expecting the game to end in a draw however Wakefield produced a second goal out of nothing to edge them back in front. Again it was another howitzer of a shot from distance that did the damage but on this occasion it was Paul Dempsey who launched the ball beyond the reach of Mossley keeper James Mann. The response from the Lilywhites to going behind was at a point somewhere between negligible and non-existent. There was little in the way of fight to try and salvage something from the game and as a consequence the match petered out into something akin to a lazy kick around in the park; Wakefield playing out the final fifteen minutes of the game with a comfort normally associated with sides who were three or four goals in front, not one. For the nth time too many lately no-one associated with Mossley can have any complaints about the result – the side that looked the vaguely more interested, and played the teensy bit better, won. What’s particularly galling though is that a little under three weeks ago we not only beat Wakefield on their own ground, but we did so convincingly with a scratch side that had been reduced to ten men for over half the allotted ninety minutes. I know we’ve been up and down lately performance wise but that surely counts as going from one extreme to another. A mini-downward spiral that can be summed up by the fact that for the second home match running the half-time game involving Mossley Juniors under sevens and eights was the football highlight of the afternoon. Having now taken just one point from the last possible twelve the Lilywhites will hopefully experience an upturn in fortunes and performances in their final two league games in order to end the season on something of a positive note. And in doing so give us a glimmer of hope in the game against what’s now likely to be a full strength Droylsden side in the Manchester Premier Cup. I could go on but an unwillingness to let my heart overrule my head type something I may regret at a future date means that this review is going to end here (see, boring defeats do have an upside). I hope amongst hope though that there's something I can be positive about in the final week and a bit of the season that’s left. We're constantly being told that we must recycle more. Who says history isn't cyclical? First we’ll start with the good news. The win/lose sequence of results has finally come to an end. The bad news is that in a typical ‘trust Mossley’ fashion they brought that run to a conclusion not with two victories, or even a draw, but two defeats. And while there may really be no other kind, two poor ones at that. For the third year running the extended Easter weekend of fixtures turned out to be a pointless one for the Lilywhites as the defeat three days earlier to Colwyn Bay was trailed with another, this time to Radcliffe Borough at Stainton Park. It was a weekend Mossley keeper James Mann will quickly want to forget too as he followed up his error in the Good Friday game which had allowed Bay to take an early lead, with another that was to ultimately hand the home side all three points. It's an overused cliché at this time of year but there's no other way to describe the match than labelling it a typically dour end of season encounter. The first half was an eminently forgettable affair that Radcliffe probably just about shaded by virtue of getting a couple of shots within ten yards of their intended target. As you have probably gathered this was not a game for the purists. Come to think if it, or anyone with a passing interest in the noble sport of association football. The early stages of the second period did nothing to dissuade anyone from the opinion that the match was heading to a wearisome stalemate until a fumble from allowed Borough to edge in front. It came in the 62nd minute when the keeper failed to hold on to an innocuous looking shot from distance and in doing so spilt into the path of Thomas Brooks; the Radcliffe substitute gleefully sliding the ball into an open net with practically his first touch of the match. Five minutes later Mossley produced their first shot in anger that was also on target, Chris Hirst forcing a good save out of Phil Priestley with a blistering drive, but apart from a header by Mattie Kay that dropped wide of the post three minutes from time, that was all they could muster in response to the strike from Brooks. As the game neared its thrilling climax, Alex Mortimer received two yellow cards for dissent within the space of thirty seconds, and with the dismissal went what little there was left of the Lilywhites rapidly diminishing chances of forcing an equaliser. With four games of the league season left, the end cannot come soon enough for a Mossley side that is looking incredibly weary and slowly starting to crumble on the pitch. Nevertheless, with a cup final against Droylsden to come it’s to be hoped that they do manage to regain a bit of form or the upcoming 90 minutes at Boundary Park could be the longest and bleakest Mossley have seen for quite a while. I’m not going to lay into Mann for his error as like refereeing, goalkeeping is a thankless task. While an outfield player can get away a series of errors during a game, the person in the number one shirt only has to make one and the game can be lost. It was though somehow fitting that such a goal settled this game. A good one would have just made a mockery of the ninety minutes that surrounded it. There’s an argument that a draw would have been a fairer result but there are equally valid ones for both Mossley and Radcliffe deserving the win, although the one for the latter I’ve got to say is significantly more convincing than the one for the former. I could go on but a) I would only repeating for the most part what I wrote three days ago and b) you’re already bored aren’t you? According to the 1959 film version of Ben Hur, the death of Jesus on the cross was accompanied by a great storm that, amongst many other things, cleansed lepers sheltering in the vicinity of Calvary of their debilitating disease. 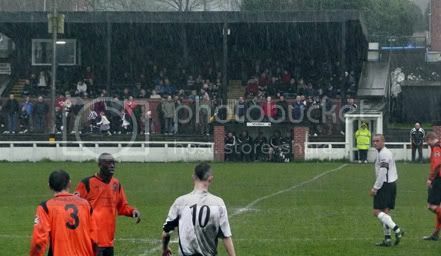 Unfortunately the heavy and torrential rain that swept across Seel Park this Good Friday didn't have the same healing qualities and, as a consequence, couldn't stop Mossley from falling apart in grim fashion. That's right, I've started the report with a gag about leprosy - another world first for football and Mossley80. I say grim but if you were a Colwyn Bay fan or a neutral it was absolutely hilarious as Comic Relief came to Mossley four Friday's too late. The adage goes that those who don't learn from history are doomed to repeat it and it's a lesson that, not for the first time, Mossley learnt to their cost. On their way to a 6 – 1 win in the corresponding fixture between the two sides on the North Wales coast back in January, Colwyn Bay had raced into a three goal lead within the first twenty five minutes of the match through a combination of good attacking football and some hysterically awful defending by the visitors; the latter only surpassed in the following half by goals conceded through moments of slapstick even Buster Keaton could never have dreamt up. The location and weather might have been different but two and a half months on it was exactly the same story. The only difference was that the match was only five minutes old when the wackiness began. To use some baseball terminology, keeper James Mann took a “swing and and a miss” at Nick Boothby's back pass which allowed Rob Hopley the chance to help the ball over a slowly submerging goal line to give Bay the lead. Mann more than atoned for his lapse by pulling off a string of good saves to keep Mossley in the game but he could do little to stop the Seagulls from doubling their lead. A slip on the halfway line by Simon Wood gifted the ball to Eddie Jebb who, after making his way unchallenged to the edge of the box, played a sweeping pass across the penalty area that ran perfectly into the path of Hopley who finished clinically from eight yards out. The third goal arrived a minute later when Tim Brandreth, probably Bay's most dangerous threat at set-pieces, was allowed to head home a corner a completely unmarked (like it is for Manchester City, defending corners appears to be a concept alien to us) and in doing so effectively won the game with just under three quarters of it still left to play. That's not to say that Mossley didn't have chances of their own in the first forty five minutes. Things might have been different had efforts from Lee Blackshaw and Michael Fish, which sandwiched Hopley's opening goal, not been headed wide of the uprights; opportunities which at the very least should have forced Bay keeper Chris Sanna to sweat to little. With the contest, bar the the laughing, pointing and eye-rolling, effectively over the second half was for the most part nothing more than a clock watching exercise for all involved. A series of substitutions eventually saw Mossley regain a bit of fighting spirit and after Leon Henry had shot narrowly over the angle of post and crossbar, a forceful run from another of the replacements was rewarded when Ben Richardson's long range shot took a deflection off a Bay defender that looped it over the under worked Sanna and into the net. The foundations for a dramatic late comeback however weren't built on and the Lilywhites penultimate home fixture of the season, like far too many since the start of 2009, ended in a demoralising and deserved defeat. 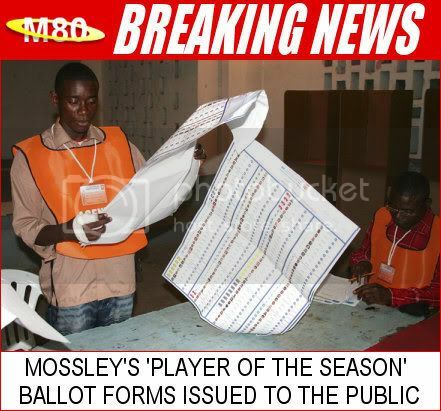 What amazes me though is some Mossley supporters refusal to trust what they're seeing with their own eyes. According to some, because Colwyn Bay went three up with a heavy and generous helping hand from ourselves, they weren't very good. If they weren't very good whereabouts on the scale does that place us? Yes, we were complicit in our own downfall but Colwyn Bay made mistakes as well - the difference was that they punished us for ours, we let them breathe a sigh of relief. And for all their 'luck' in building up an unassailable lead, there was a certain amount of it that stopped us from being more than only three goals down by the midway stage of the first half when it could have been a whole lot worse. A common phrase uttered on the terraces as the match progressed was “I don't mind losing but...” and it's a but which I've mentioned often on this blog. I realise we have injuries, suspensions, we're building for next season, etc. but it doesn't make performances like this acceptable. Notice I said performances and not results. Losing is part and parcel of football but they're palatable if you can leave the ground thinking 'at least we gave it a go'. That didn't happen after this game which is what makes the afternoon, if it's possible, all the more disappointing. If I wanted to keep the religious metaphors going I could say that, in keeping with this particular time of the year, hopefully Mossley will hopefully rise again in a few days time when we face Radcliffe Borough. I could but I won't as did exactly the same thing twelve months ago in the report for our Good Friday defeat at Bradford Park Avenue and as the few regular readers of this blog will know, I already repeat myself far too often. Plus we didn't so much rise from the dead back then but start putrefying in a 3-1 defeat at home to Rossendale United on the Bank Holiday Monday. Still, if our win-lose series of results is going to continue for the foreseeable future we should be leaving Stainton Park in a few days reasonably happy. And I am fully aware that last sentence come back to haunt me. In all honesty I didn't expect us to win this game. I did think however that we wouldn't have made it quite as easy and as humorous as we did for Colwyn Bay but that's Mossley for you in a nutshell: confounding expectations since 1903. On the basis that Mossley's recent sequence of results has alternated between winning and losing, the defeat in the previous game at Garforth should have meant that this would be a welcome victory for the mid-table Lilywhites. And that's precisely what happened as Mossley kept that up and down run going with a narrow win over local rivals Woodley Sports. Only five minutes had elapsed when Danny Egan's harrying forced Ben Connett into making an error, a hurried attempt at clearing his lines succeeding only in directing the ball straight to the feet of Nathan Neequaye. From 25 yards out the Mossley forward calmly teed the ball up before striking it low past the keeper to give his side the lead. Disappointingly it also turned out to be Mossley's last shot of the half. In fact the Lilywhites can consider themselves to have been quite fortunate to have reached the interval with that lead still intact. As Mossley's passing grew increasingly wild and haphazard the longer the opening period went on, Woodley began to enjoy more and more possession and with it came a long succession of chances. Fortunately most of them were hit directly, and tamely, at Mann but Gavin Salmon and Tom Sellars should have both done better than to drag identical shots wide of the post when in very good positions. The only real stop James Mann was forced into making was from his opposite number Connett. A wind assisted drop kick looked to have beaten him when a huge bounce took it over his head and towards an empty goal. Some furious back-pedalling and a fingertip save at full-stretch however was enough to divert the ball onto the crossbar from where it bounced to safety. Happily from a Mossley perspective the second half was a much more even and less one sided affair in terms of goalscoring opportunities, but that still couldn't stop their opponents from drawing level. The best move of the match up to that point, a string of five passes that opened up the Lilywhites defence, ended with Sam Walker controlling the ball with one touch before launching an unstoppable volley from the edge of the area past Mann. Not to be outdone Mossley then produced a passage play that was more than equal to the build-up for Woodley's goal. The only difference was that the fizzing and acrobatic shot at the end of it from Michael Fish was palmed away by the keeper. Unfortunately for him it wasn't to safety and after picking up the loose ball Reece Kelly played an intelligent and simple pass across the six yard box to fellow substitute Leon Henry who fired Mossley back in front. The win looked to have been sealed when Lee Blackshaw added a third goal from an acute angle late on in the game after keeping his nerve in a one-on-one with Connett. Mossley don't do things the easy way though and the four minutes of added on time at the end of the match were given a nervous edge when Sam Madeley pulled a goal back for the visitors. However that fifth goal of the night also turned out to be the final one, ensuring that Mossley claimed the three points on offer as well as ensuring that their form guide continued to read LWLWLW– a pattern they'll desperately be hoping to break against Colwyn Bay. Will they though? It's a question that I doubt men more learned in all matters football would be able to answer with any conviction. As well as the results, our performances within matches themselves now seem to cycle through a series of peaks and troughs. And speaking as a lowly terrace dweller, it is hair tearing. The continual chopping and changing of the starting line-up certainly isn't helping matters, but hopefully, as the we near the Manchester Premier Cup final in three weeks time, those pendulum like swings between admiration and frustration will stay stop and we'll experience more of the former with fewer changes and a more settled side. As for this game it was a good performance from the Lilywhites. Eventually. Even though we took the lead early on we were second best for a considerable percentage of the first half. Woodley were the better side but thankfully they were able to introduce the home crowd to a new experience – being genuinely delighted to see Gavin Salmon miss good chances at Seel Park. It certainly made up for those days a few seasons ago when we really did rue them. I say home crowd but there wasn't really much of one to speak of. With the empty terraces it was like watching a game at Lambeth Grove and it's that which may be the reason for Woodley's “all but score” performance in the first forty five minutes. There was a huge improvement from us after the break though and with it came the two goals that were just enough for us to win the game. Which when you weigh everything up is all that matters. So to finish, three points and five goals (none of them too shabby either) adds up to not being a bad ninety minutes work at all. Hopefully there'll be few more too in the seven remaining games. In case anyone is remotely interested and hasn't seen it elsewhere, posted below are links footage of Glossop's semi-final Vase win over Chalfont St Peters. At the very least it may spark some moments of nostalgia about what it's like to reach a Wembley final. Of course that only applies to the Mossley supporters reading this and not any Stalybridge, Hyde, Droylsden or Curzon fans*. It's interesting to note that while the local council, through "safety concerns", wanted to impose a limit of 800 people on Seel Park for the match with the Bury lodgers last season, Glossop's not quite so modern home was deemed perfectly okay for 1600 people. And, judging by the video, with no visible stewarding at all. What a wonderful and contradictory world it is. * I've left Ashton United out because, well because we quite like them. In a country where corruption, criminal gangs and football are regular bedfellows, officiating Romanian third division matches can be scary and at times it will show. I don't know about you but I think the dash for the toilet should have happened a bit sooner. Full credit to him though for waiting until there was a break in play before skedaddling off to deal with his pant splatter . It's amazing how often things that initially seem like good ideas generally aren't. New Coke, the last three Only Fools and Horses specials and my decision to attend the Curzon – Durham game are just some of the examples that bare this out. On the face of it, a meeting between the Unibond First Division North league leaders and one of the form teams in search of a play-off spot had all the makings of being a great game. In reality it was anything but. To give you some idea of just how faraway it was from reaching the heights I thought it may attain, I got into the match for free and still felt ripped off! A dull first half was briefly enlivened by Curzon hitting the crossbar as it drew to a close, but the one highlight of the opening period was Gary Lowe being sent to the stand from touchline; the Curzon manager discovering to his cost just what happens when a referee with a bit of bottle turns up at the Tameside Stadium and refuses to tolerate his usual touchline theatrics. Shortly after the restart, and out of the blue, Curzon took the lead and with Durham offering nothing at all as an attacking threat it was practically game over. A situation which meant that what time there was left passed interminably. Never before has half an hour felt so much like five years. Apart, of course, from the last time I saw a full episode of My Family. The match summed up in one picture. The most interesting thing about the night though was the praise poured out over the p.a. system prior to the match on 'Curzon Youth'; a gang of around fifty kids aged between 11-15 who outwardly seemed to share the same lovable qualities as those other organisations for people in their formative years such as the Young Conservatives and the Hitler Youth. Ignoring the issue as to whether this “wonderful support” would have been there had they not had free tickets, their presence did raise an interesting paradox. Over the years Curzon's aged support have lambasted Mossley's for their colourful language but now you have the Ashton club officially lauding a group of school kids for what was almost an unending stream of obscenities. And for a club that prides itself on being family and community orientated, why seemingly actively encourage something that's the opposite of just that? It was interesting to note as well that their presence made the stand opposite the tunnel, where they were stood, a no-go area for other supporters too. The regulars who normally position themselves there taking up other spots within the ground and it was not hard to see why. While it's good to see an attempt to attract new and young support to non-league football, I have a feeling that one day, instead of patting themselves on the back for increasing their gates, Curzon may be left to bemoan the monster they've created. Maybe they'll disappear when the free tickets do but if I was an official at the Tameside Stadium I'd be very wary at inflating their egos. And before somebody thinks of mentioning it, this piece has nothing to do with the fact that nearly every chant (practically all direct lifts from the Old Trafford songbook) contained something anti-Mossley. If anything it's nice to know that Curzon are obsessed with all things Seel Park while they mean next to nothing to us.